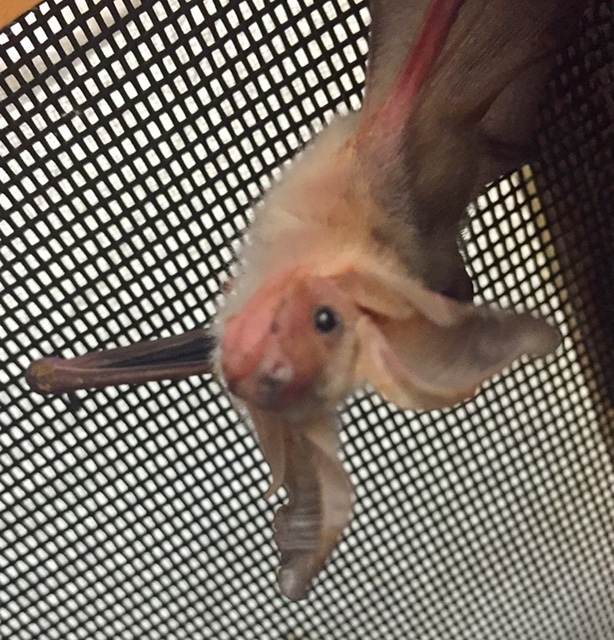 a-Da-Da-Da-Dada-Bat Baby!! 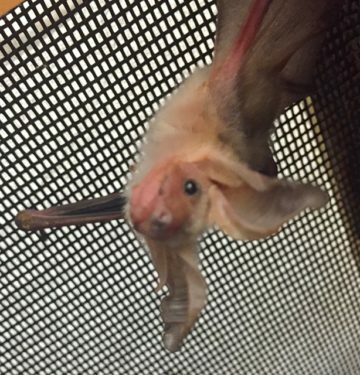 A few week ago,TWC received into care,a small,naked,,blind little bat..Now that he’s a bit older,and has those amazing EARS,we’ve discovered he’s an adorable baby Pallid Bat!! 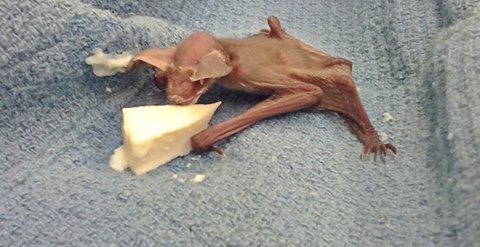 Pallid bats are considered a common species (although this is the first I’ve seen!) 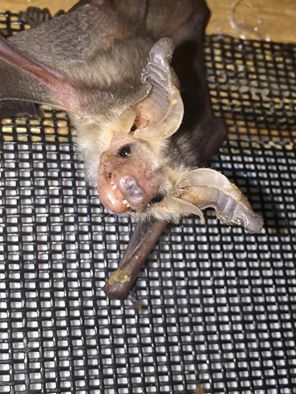 throughout the West,up the coastline,and up into Canada.Those huge ears help them find their diet of crickets,grasshoppers,and other insects.Unlike most species of bats,the pallid bat is also known to take most of it’s food on the ground,instead of in flight!They have been even spotted taking lizards and rodents-wow! This little guy has a lot to learn! 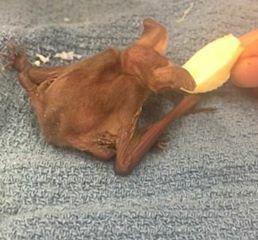 We started this little guy on a special formula ,which he suckled from a sponge.He is growing like a weed,and recently graduated to “bat gruel” and meal worms.Once he learns how to fly and feed himself,he will be released back into the wild,hopefully with a local colony. Isn’t he a cutie?? !